The end of sunset: The candles are to initially be lit at the end of sunset. It is not to be lit prior to sunset, nor after the conclusion of sunset. Some Poskim however rule that today since anyways the lighting is done inside the house, there is no obligation to be careful to light on time [and rather one is to light the candles when one’s family is all present]. Practically, it is proper to be careful in this matter, even in today’s times that the custom is to light indoors. If it is already a half hour past nightfall: If one did not light within half an hour from nightfall, he may still light [with a blessing] throughout the night, [until daybreak]. Nevertheless, one may only light with a blessing if ones family is still awake and will be present by the lighting. If they are all sleeping one is to light the candles without a blessing. In such a case, it is best to wake them up in order to be allowed to say the blessing. It suffices to wake up even one family member in order to be able to light the candles with a blessing. [The need for people to still be awake, however, only applies from when people are no longer found outside on the streets. Though, so long as there are still people outside, one may light with a blessing, even if one is alone at home, or everyone is sleeping. Based on this, some write that one may light with a blessing until 9:00 pm, even if no one is present. Others write one may light with a blessing even if no one is present until 12:00 PM.] The candles are to be lit for at least 30 minutes even when lighting very late into the night. One is to initially light the Menorah after sunset, prior to nightfall, which is the time between Mincha and Maariv. If one did not light at that time he is to light immediately after nightfall. If he did not light at that time he is to light within half an hour from nightfall. If he did not light within that time he is to light anytime up until daybreak. A blessing may be said so long as there is someone still awake in the home. According to Chabad custom, when exactly between sunset and nightfall is one to light the candles? One is to light the candles at least 20 minutes before nightfall. Thus, in Eretz Yisrael, one is to light immediately after sunset, which is approximately twenty minutes before nightfall. In New York, one is to light approximately 10-15 minutes after sunset, which is approximately twenty minutes before nightfall. Some of Anash in Eretz Yisrael also have the custom to light exactly 10 minutes after sunset, which is only 10 minutes before nightfall. If by lighting on time one will be unable to stay near the candles for a half hour, may he light later on in the night? Some write it is better to light later in the night, at a time that he will be able to stay near the candles. If one’s wife or/and daughters will not be coming home until after nightfall, is one to delay the lighting until they arrive? Some write that it is proper to delay the lighting until one’s household is present, in order to publicize the miracle. This certainly applies to one’s wife and daughters, who are included in one’s lighting, and are Yotzei the blessings with him. If a husband/father will be arriving home very late should the wife/daughter light before him arriving? May the husband light his own candles upon returning home? In all cases that the wife will be lighting before her husband returns home, the husband is to have in mind not to fulfill his obligation with her, and upon his return home he can light with a blessing if there are members of the household still awake. If he did not have in mind to not be Yotzei with his wife’s lighting, and when he came home he unexpectedly realized that his wife had lit, then some Poskim rule he does not fulfill his obligation with his wife’s lighting, and is to hence light candles with a blessing. Practically, however, he is to light candles without a blessing. If a child is becoming Bar Mitzvah on Chanukah, when is he to light his candles, before or after nightfall? Some Poskim rule he is to light candles after Tzeis Hakochavim, after he is already Bar Mitzvah. Others, however, rule that he may continue to light at the regular time, after sunset. If one is unable to light at the proper time, is it better to light by Plag Hamincha or after nightfall? If one is accustomed to light inside his house: One who lights candles inside his home, is to light candles after nightfall, rather than light before sunset, in the event that he cannot light at the proper time. If one is accustomed to light outside: One who lights candles outside his home, and cannot light the candles at the proper time, some Poskim rule that it is better to light after nightfall, rather than light before sunset. Other Poskim however rule that it is better to light before sunset, after Plag Hamincha. If one is only able to light by Plag Hamincha, is it better for him to personally light during Plag, or to have an emissary light on his behalf at night? It is better for him to have an emissary light on his behalf at night. If one is unable to light at the proper time, is it better for him to personally light after nightfall, or to have an emissary light on his behalf at the proper time? It is better for him to personally light the candles upon his arrival at night, than to have them lit on time by an emissary. If it is after nightfall, and one did not yet light or Daven Maariv, and there is no Minyan currently available, what is he to do? If there will be a Minyan available later on, he is to first light the Chanukah candles and Daven Maariv with the Minyan. If, however, he plans to Daven Maariv in private, then he is to first Daven Maariv and the light. May a couple light past midnight with a blessing? May one light with a blessing within 30 minutes before Alos? Some Poskim rule one may still light with a blessing even within a half hour before Alos [if a household member is awake, as explained above]. Many Rabbanim and Chassidic Rebbe’s are particular to light the candles at a time that an abundance of people have gathered, and come to watch the lighting. However, the Rebbe Rayatz, acted on the contrary, and was displeased when non-family members were around for the candle lighting. 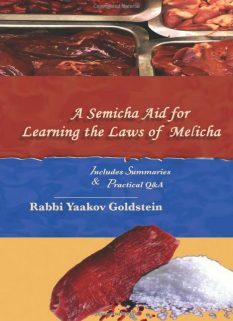 So writes Michaber ibid in the continuation of this Halacha, that this time of sunset is only Lechatchila. See the end of this Halacha for sources; Maariv should be davened either before nightfall, for those accustomed to do so, or right after nightfall before lighting. 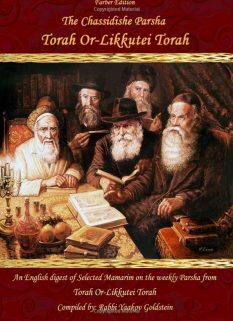 This is opposed to those who Daven Maariv while it is still day, as was a common custom in those times, and is likewise opposed to one who Davens Maariv only later on at night. Mor Uketzia; Custom of Gr”a; Machazik Bracha 672:3 “One who does so does not lose out”; Shaareiy Teshuvah 672:2; M”B 672:1; Biur Halacha 672:1 “Lo Meachrin”; Igros Moshe 4:101; Kaf Hachaim 672:5 concludes it all depends on whether one can make it home with enough time to light prior to the passing of a half hour, and if one can’t, then he should follow the above ruling and light before nightfall. May one light with a blessing within 30 minutes before Alos? See Q&A! 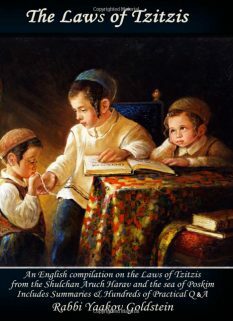 Ben Ish Chaiy ibid that so long as two people are awake, it may be lit with a blessing; Kaf Hachaim ibid; However the Chemed Moshe ibid writes one is to wake up 2-3 family members. In any event, the Chemed Moshe rules one can say a blessing even if no family members are present. This means that one calculates the amount of day hours in the day and then divides that by 12. One then times that by 1.25 hours, which is the number of hours in Plag Hamincha [1 hour and 15 minutes]. Thus, if there are 14-day hours in the day, then each hour when divided into 12 contains 70 minutes, and thus Plag Hamincha would be 1.25 hours times 70 minutes which equals 87.5 minutes prior to sunset. 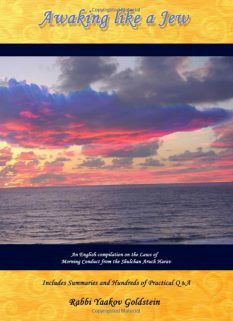 Background: Admur in the Siddur in Hilchos Kerias Shema and 443:4 rules the day is calculated from sunrise to sunset, and so is the custom today of all Jewry. In accordance to this calculation, Plag Hamincha is 1 and ¼ hours prior to sunset, and so rules Ketzos Hashulchan ibid. See also Admur in 261:5; 443:4. Ruling of Admur in Shulchan Aruch: In 263:6 Admur rules that Plag Hamincha is 1 hour and 15 minutes before nightfall. This is based on 58:3; 89:1 in which Admur rules the day is from Alos until Tzeis. 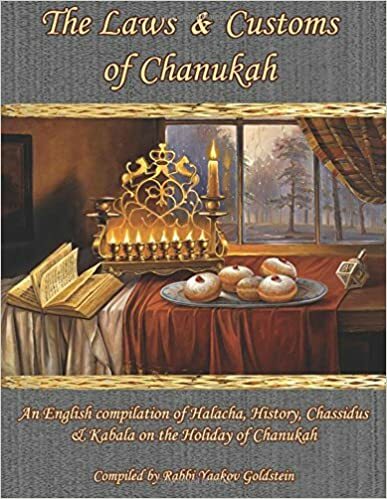 Likewise, in 261:5 where Admur rules that although one may be stringent to accept Shabbos from 1 and ¼ hours prior to sunset, he may not be lenient to light candles until 1 and ¼ hours prior to nightfall. However, in Admur 443:4 he rules it is counted from sunrise until sunset and so rules Admur in the Siddur. Reply of Rav Eliyahu Landa Shlita, that so is the custom of Anash, and so was the custom of his father to look at the clock and light immediately after sunset. This is seemingly the best custom as a) It fulfills the Mitzvah according to all opinions, as some require the lighting to take place immediately after sunset. b) The candles are lit approximately 20 minutes before nightfall, as is the Chabad custom, as stated above. Shevet Halevi 8:156 based on Hisorerus Teshuvah 1:119; Piskeiy Teshuvos 672:5; See Nitei Gavriel 3:19 who writes [on his own basis] that one may only light with a blessing up until a half hour before Alos, as the candle is required to light for a half hour. However, from the Setimas Haposkim ibid it implies that this is not necessary. 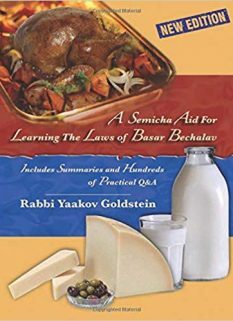 See Kaf Hachaim 672:15 that not all Poskim agree that the candles must light for a half hour when lit after the time, and perhaps Bedieved, all Poskim agree this is not necessary.